Global warming is one of the most urgent challenges that our planet is facing today. It represents the fundamental threat to all living things on earth. Our actions, many times unconsciously, cause us to contribute towards speeding up global warming. We have to realize that we all share the same earth and its resources with other species that keep the ecosystem balanced; and if this balance is gone, then the life of every single species is threatened. Today’s writer reminds us that we too must play a part in addressing the problem of global warming to help restore the balance of nature. Global warming refers to the increase in the global mean temperature which is due to increase in concentration of ‘greenhouse gases’ in the atmosphere, such as carbon dioxide emissions from burning fossil fuels or from deforestation. Over 100 years the Earth’s temperature is rising between 0.4 and 0.8 °C, and it can be agreed that the planet is in fact warming up. Many climate scientists are carrying out Global warming research and studying the changes resulting from Global warming that are creating severe environmental problems. 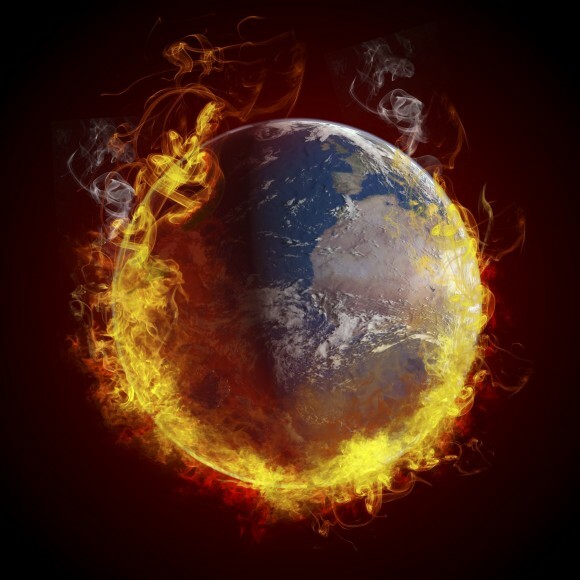 Global warming is a burning issue and its effects could be severe if it is not dealt with at the right time. Though Nagaland is not one of the most polluted areas in India but still we can see the effects in the form of widespread landslides and heavy rainfall. According to observations made over the Eastern Himalayas in 1996, there is an increase in rainfall during the monsoon season. Nagaland, being in this part of the Himalayan range is also experiencing the increase in rainfall. Another reason for the increase in temperature in Nagaland is also due to Jhum cultivation. A total of 70% of people still depend on agriculture, and burning down of crops destroys animals and species of that habitat. Some steps can be taken to avoid deforestation and start afforestation; practice the new technique of farming and strict norms must be followed. We also witness a deep and wide landslide at the KMC dumping area in NH-39 just before reaching Kohima town. The once sinking zone has now become a valley now. This is just one example but still, there are many roads connecting different areas in Nagaland which are still under risk. Most roads in Nagaland are cut across the mountain ranges, without culverts and proper drainages, making the roads carry the entire water flow from above, to accumulate or flow to a concentrated outlet stream, causing flush floods. Over the years, there is unprecedented and unhealthy rise in the growth of the automobiles, with the expansion and the rapid rise of population especially in towns like Dimapur and Kohima. It has resulted in the mismanagement and food wastages contributing to the already mounting Pollution and Global Warming. The Logging and unorganized felling of trees in and around the town area is also one of the major contributors to the ever rising increase in the Mercury and the rapid increase in the temperature and eventually leading it to Global Warming on a Large Scale. Reason : CFLs use 60% less energy than a regular bulb. Reason: Cleaning a dirty air filter can save 350 pounds of carbon dioxide a year. Reason: Use the “on/off” function on the machine itself. A TV set that’s switched on for 3 hours a day (the average time Europeans spend watching TV) and in standby mode during the remaining 21 hours uses about 40% of its energy in standby mode. Reason: A shower takes up to four times less energy than a bath. To maximize the energy saving, avoid power showers and use low-flow showerheads, which are cheap and provide the same comfort. Reason: A single tree will absorb one ton of carbon dioxide over its lifetime. Shade provided by trees can also reduce your air conditioning bill by 10 to 15%. Reason: You can reduce CO2 emissions by readjusting your driving style. Choose proper gears, do not abuse the gas pedal, use the engine brake instead of the pedal brake when possible and turn off your engine when your vehicle is motionless for more than one minute. By readjusting your driving style you can save money on both fuel and car maintenance. Reason: Forests play a critical role in global warming; they store carbon. When forests are burned or cut down, their stored carbon is release into the atmosphere-deforestation now accounts for about 20% of carbon dioxide emissions each year. Therefore, our efforts and devoted contribution to reducing Global Warming is very urgent. We have one world and one environment and thus, let us do all we can to protect it so that our future generations can live in this beautiful planet. Global Warming Is Global Warning.